It Begins With You 2009 program. 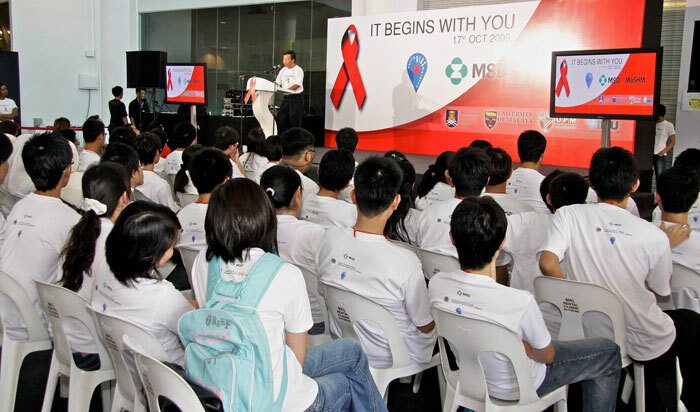 The program aims to help address the need for more HIV/AIDS medical providers by raising consciousness about HIV/AIDS issues, including the need for support and understanding for people living with HIV/AIDS, and the need for the development of education and prevention initiatives through a partnership with Malaysian Society For HIV Medicine , Malaysian AIDS Council and MSD. Image 1: Mr Ewe Kheng Huat welcoming the medical students to "It Begins With You 2009". 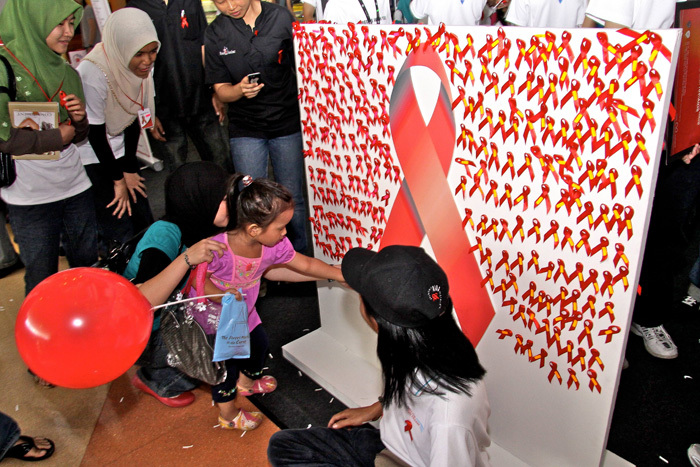 Image 2: Members of the public participating in the Red Ribbon Awareness Drive, initiated by the medical students.